COOP Ale Works is brewing up big plans for the 23rd Street Armory which housed the 45th Infantry Division. A piece of national history right here in Oklahoma City will soon be repurposed as the 23rd Street Armory is brought to life once again. The home to Oklahoma’s National Guard for decades, the building will soon be revitalized by new owners COOP Ale Works. 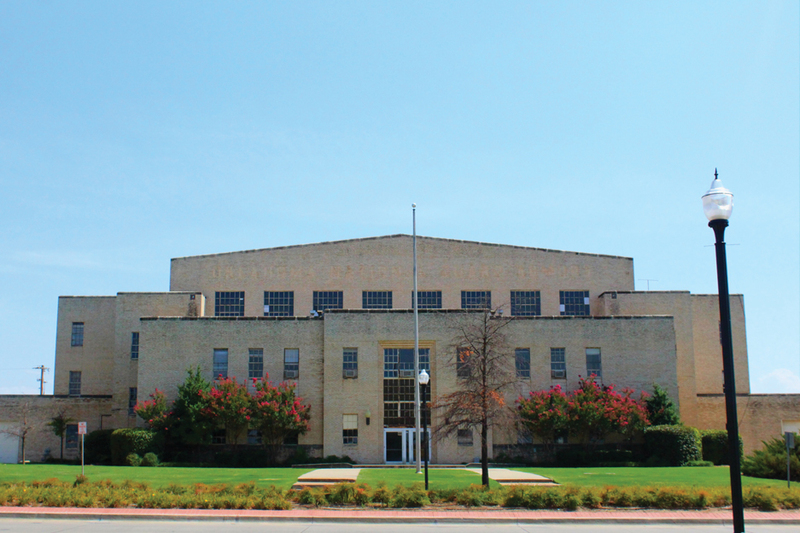 The Oklahoma Office of Management and Enterprise Services (OMES) recently accepted the company’s proposal to acquire and redevelop the armory, which includes restoring the building and creating a unique experience. Under COOP’s proposal, the 87,000-plus-square-foot building will be purchased from the state for $600,000 and returned to its former glory with updates to the interior functionality. The exterior will be maintained to honor its unique history with modern refreshes, including updated windows, while the inside will be transformed into a bustling brewery production floor, full-service restaurant, 22-room boutique hotel, multiple event spaces, offices and meeting rooms. In total, COOP plans to dedicate $20 million to the overall project. Sean Mossman is the director of sales and marketing for COOP Aleworks. The need for expansion for COOP started two years ago, just two years after moving into a second venue. COOP Ale Works is a craft brewery based in Oklahoma City, dedicated to brewing full-flavored beers. Since 2009, COOP has created a core lineup of six year-round canned beers in addition to four seasonal canned beers. A new building would have been easier but Mossman said COOP wanted to strengthen ties in OKC. “We focused early on for something on the Register of Historic Places or just meant something to the community through time,” Mossman said. Mossman said COOP will invest $20 million into renovations with projected annual economic activity of $26 million to OKC.